ROLLING PRAIRIE, IN – Innovative compound technology manufacturer OTECH Corporation of Rolling Prairie, Ind. (www.otechcompounds.com) has added two new, custom PP/EPDM compounds to their family of custom auto solution products. Both are now available commercially. The first, a custom compound used in the manufacturing of truck trailer wind skirts, features superior low temperature properties (-90 degree brittle temperature) as well as improved performance in long-term, high temperature exposure. This custom blend makes a wind skirt that is ideal for long haul-rigs, regardless of temperature extremes. The structural stability of OTECH’s new compound ensures longevity of the product even under stressing, high-speed conditions. For many automotive and trucking companies rushing to comply with new state wind skirt laws, this new oil and abrasion resistant compound arrives just in time. In addition to the wind-skirting compound, OTECH Corporation has also released an approved wire-reinforced ductile hose compound, designed specifically for the automotive industry for under-hood applications. With this compound, OTECH has added a component of processibility. These compounds are produced with ease of manufacturing in mind. OTECH’s unique low-shear screw design uses a secret combination of melt flow and lubricants to create these specialized compounds quickly and with exceptional quality. Special attention was paid to ensure the compounds provide manufacturers with higher output at lower temperatures. OTECH Corporation is ISO 9001:2008 certified. OTECH creates both UL® and non-UL® grade compounds including the innovative zero-halogen series. 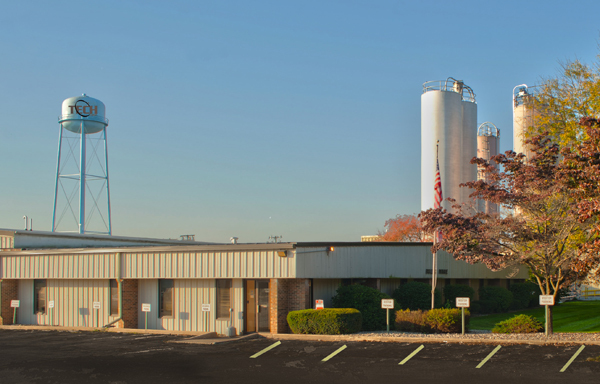 OTECH operates in a 250,000-square-foot facility in Rolling Prairie, Indiana.